The Osage River runs a course of about 500 miles from the Flint Hills of north central Kansas to Bonnot’s Mill in central Missouri where it joins the Missouri River. A fecundate prairie stream that cuts into the Ozark uplift in mid-Missouri, the Osage is rich with human history. One little remembered piece of history involves the site selection for the state’s capitol of governance. 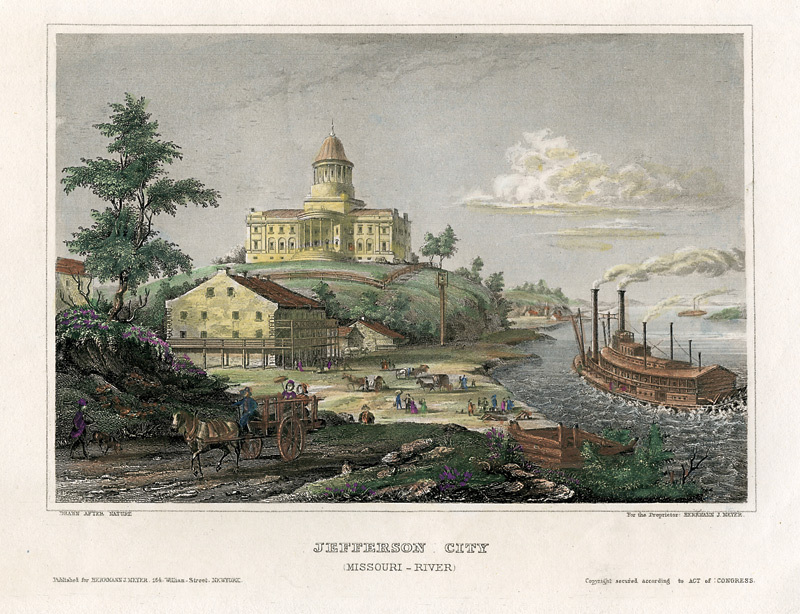 Why is Jefferson City, a modest town in central part of the state on a bluff overlooking the Missouri River, the capitol of Missouri? Why not a larger, more commercial, more populated urban setting? 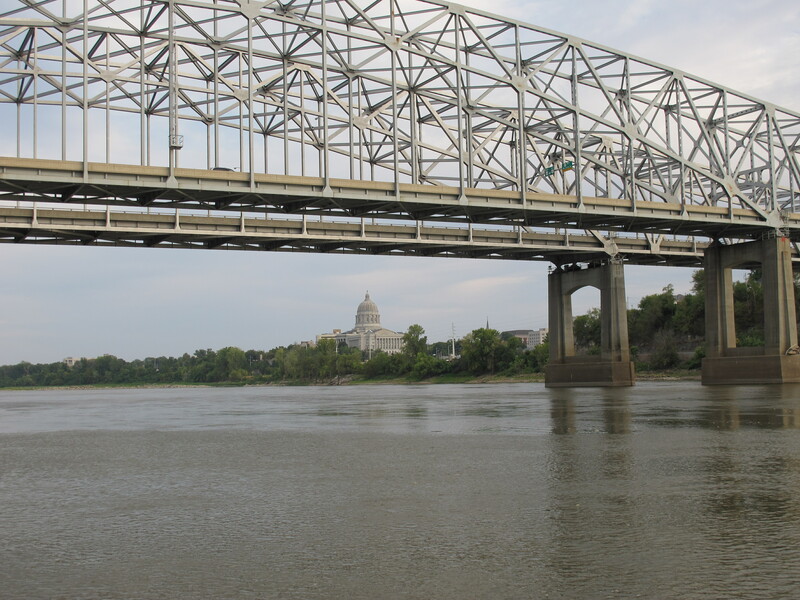 US Highways 63 and 54 cross the Missouri River at Jefferson City, just west of the capitol. First railroads, then highways co-opted commercial river transportation. The Osage at times runs a large quantity of water. Its access to western Missouri would have made it a good conduit not only to western Missouri and eastern Kansas, but an avenue to a jumping-off place for overland travel to Santa Fe and the southwest. Missouri’s capitol, named for Thomas Jefferson, only 18 (more or less) miles from the original mouth of the Osage, was incorporated in 1821. Although the Osage Indians and French fur traders and early American officials knew it was seasonally unreliable for boat travel (from canoes to steamboats), business interests ignored its hydrologic realities and pushed for river improvements. Before the Corps of Engineers spent hundreds of millions of dollars on multipurpose dams of questionable usefulness in the Osage valley, they wasted hundreds of thousands of dollars on “improving” the Osage for steamboat travel.